How on earth is it October already? This year is flying by! 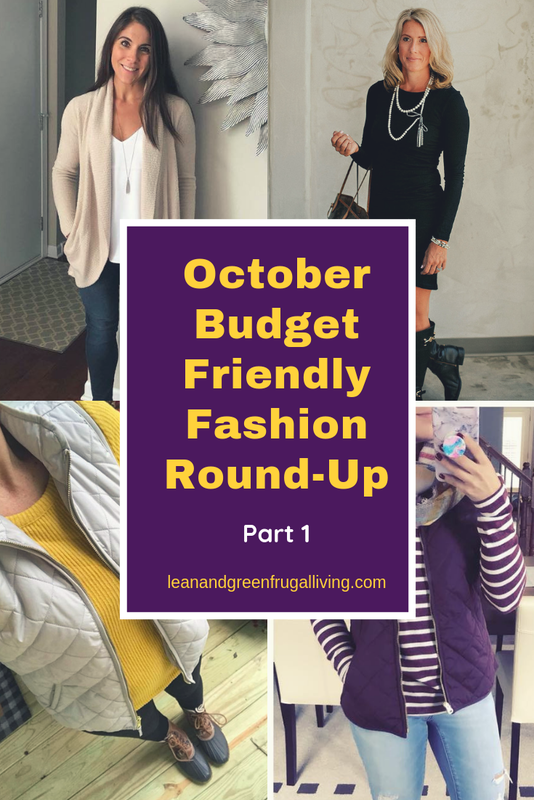 A new month means a new Budget Friendly Fashion Round-Up! I've been wanting to do these twice a month but it's been so hard to fit everything in so I am calling this Part 1 so I HAVE to do another one later in the month. Hopefully it works! The looks I'm sharing this month are all about Fall with lots of pieces that will transition easily into winter. One of the things I have trouble with is owning pieces that only work for a single season. I know we all need winter coats and those types of essentials; but I want my style staples to transition and be heavy lifters in my wardrobe. The looks featured all have pieces that either help move your wardrobe into Fall/Winter or show how a summer piece can make the jump. I hope you love the looks as much as I do! Diane would look flawless in a paper bag but I really do LOVE this outfit. 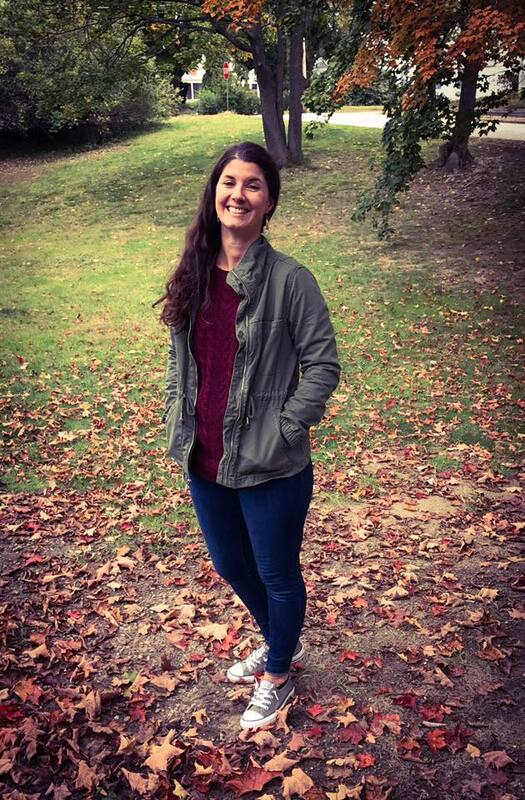 She paired her Express Downtown Cami with a Barefoot Dreams cardigan to make a summer time staple work for fall! The straps are adjustable on her cami and she says it isn't clingy nor see-through which is basically the holy grail for white tops. If you haven't felt Barefoot Dreams you MUST! They are spendy but seriously the softest thing I have ever touched. If that doesn't convince you, Target has these A New Day cocoon cardigans that are a great deal to get the look for less! Her jeans are A&F and the booties are Fergalicious by Fergie. 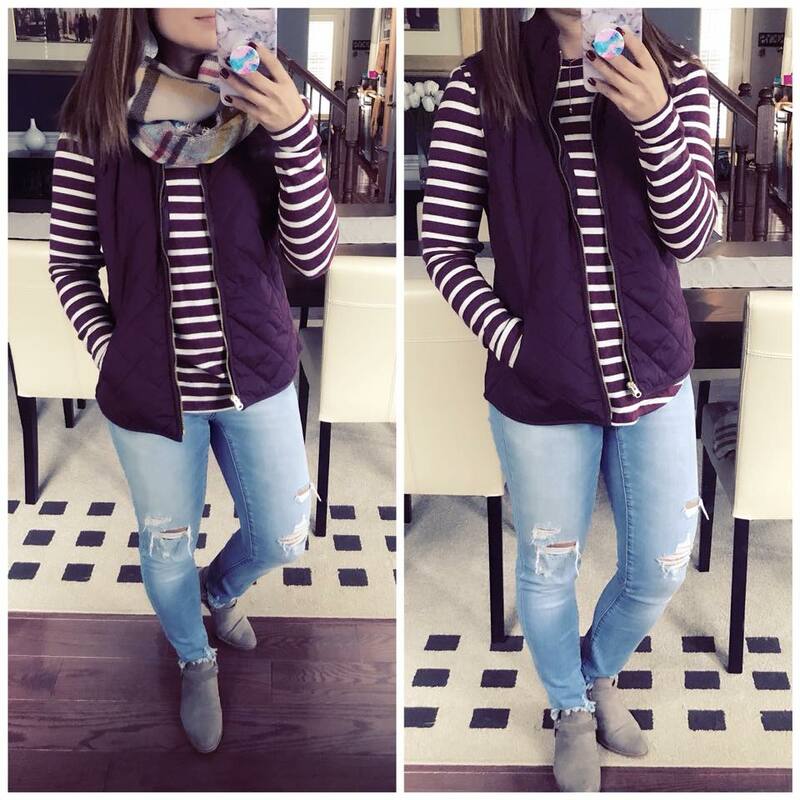 Cassy paired this burgundy striped plush knit top from Old Navy with a quilted vest in the same color. I love the tone on tone look. The pattern mixing with her scarf keeps the look fresh. 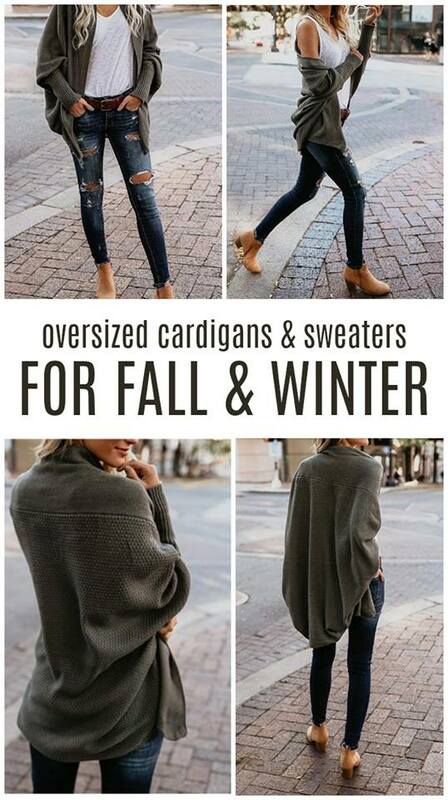 I like the way these pieces can be layered for cooler weather or can be removed if the temps are warmer. So versatile! 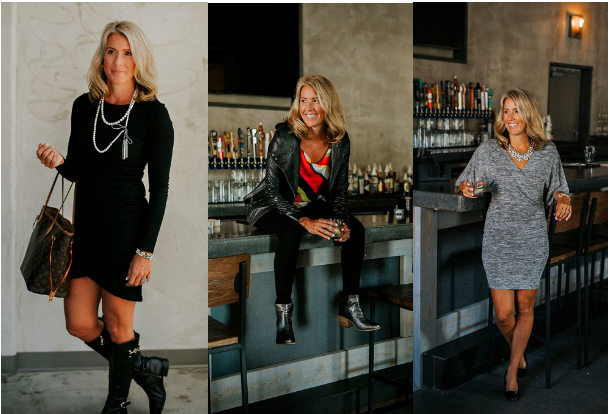 Heather's three date night looks are SO good and have so many great pieces that can transcend seasons! 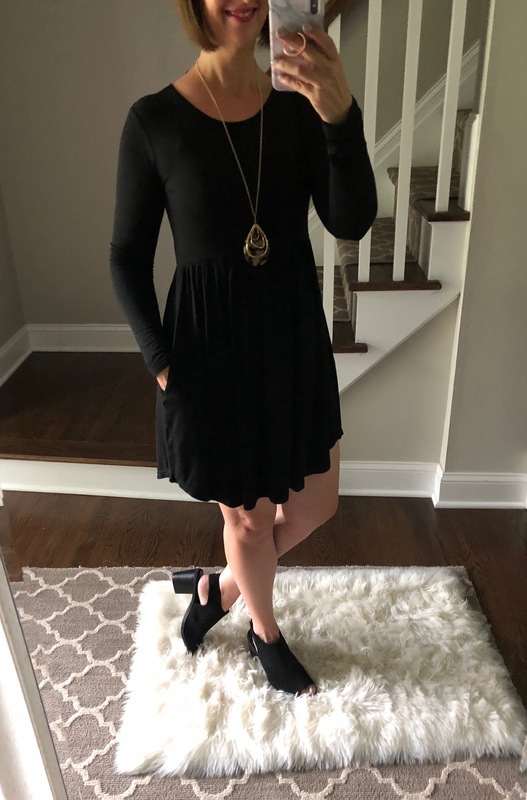 Her black Leith dress is a blogger favorite and everyone says it is super flattering. Her necklace really makes the outfit! The middle outfit transitions her Stripe Cowl Neck Tank to Autumn with a leather jacket. I like this faux leather Moto jacket from Topshop. She paired them with Articles of Society black jeans which I love. My black jeans are heavy lifters in my wardrobe. The third look is another Leith dress. I love this one and I think it would also look great with a leather or denim jacket for chilly nights. 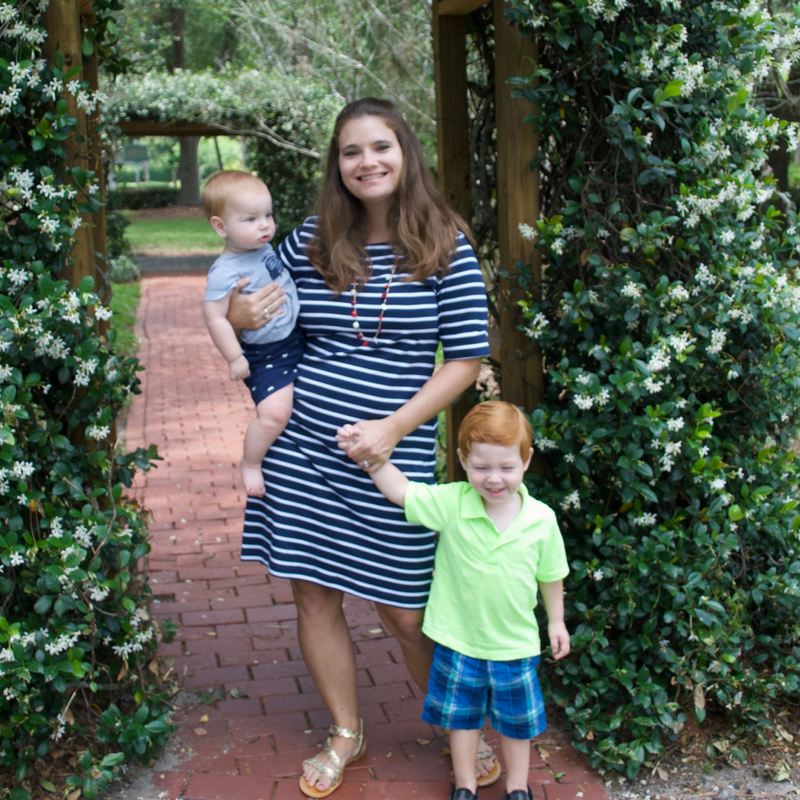 Erin's Three-quarter sleeve lace shift dress is from J.Crew Factory and a STEAL at post time! 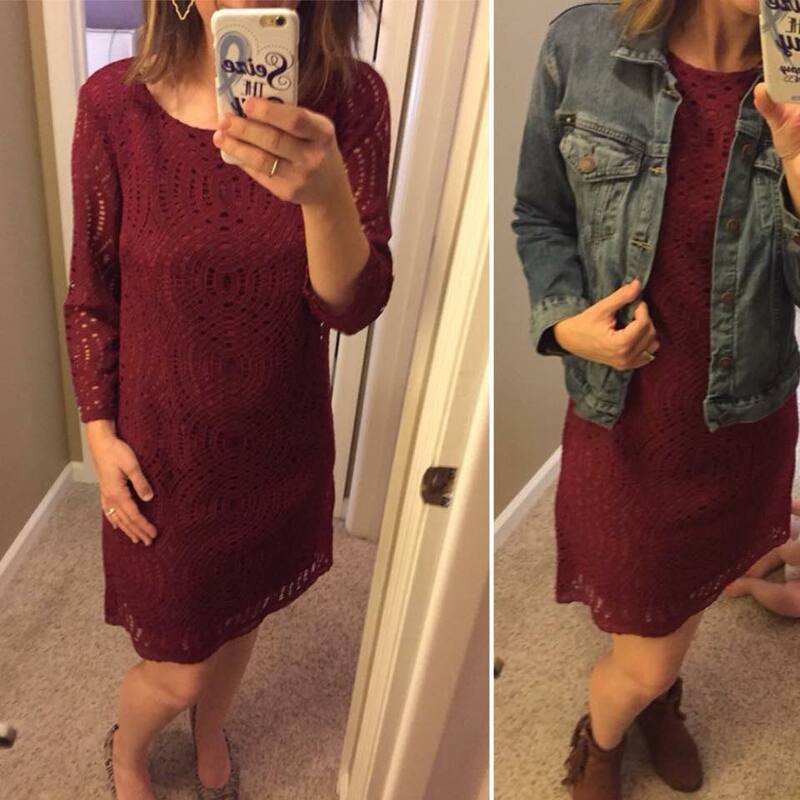 I like how she layered it with a denim jacket in the second pic to help it transition to cooler weather. I have this one from Universal Thread and it is a bargain. You could even add tights and booties to make it last even longer! Julie's oversized cardigan is an Amazon find. She paired it with a tank, jeans, and booties which seems to be the most popular way to stretch out a wardrobe this season! I have Cynthia's Field Jacket and LOVE it! It's such a versatile staple and perfect for Fall! 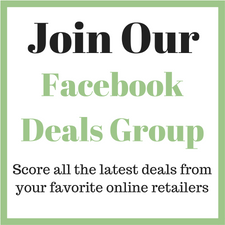 Her pull-on jeans are also from Old Navy and are worth checking out; they have really upped their jeans game lately. She completed the look with gray Converse Shorelines and anyone that follows me on IG knows I TOTALLY approve. I have a pair in a lighter gray and love them! Donna's dress is an Amazon find; I have 2 of these and they are so great! I have a short sleeve and a long sleeve version and they are so soft and cozy and they have POCKETS. Her shoes are also from Amazon; Donna puts the cutest outfits together with Amazon pieces! Even her necklace was a bargain she scored on Amazon! 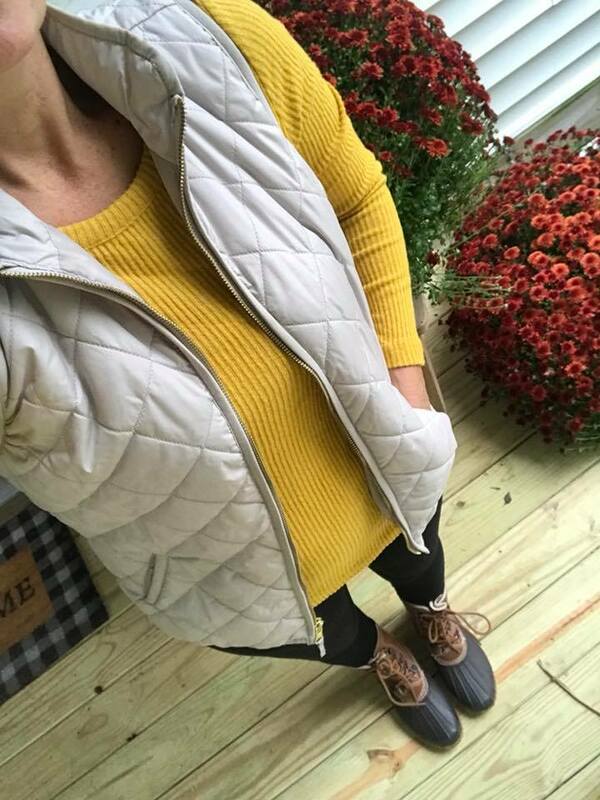 Another vote for the Old Navy Quilted Vests from Becca! She paired it with a cheery yellow rib-knit top which is a STEAL. I love how different all the outfits I am seeing with this vest are; it truly is versatile piece. 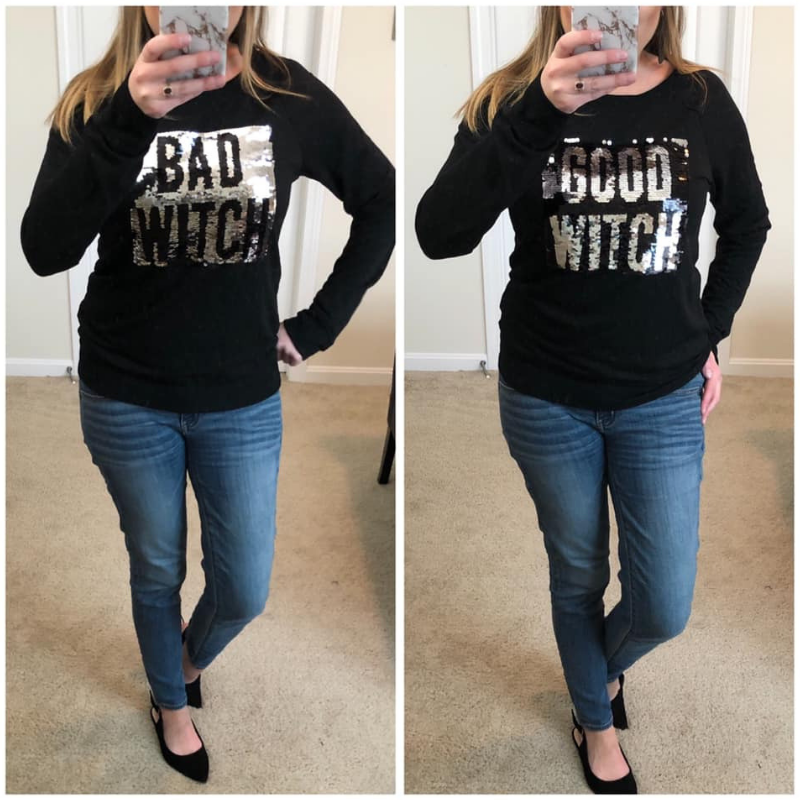 I LOVE Diana's Good Witch Bad Witch Reversible Sequin Graphic Sweatshirt! Although, I'm not sure I would be able to leave the reversing sequins alone lol. This is such a fun way to celebrate Halloween without being overtly orange and pumpkins. I decided to include my favorite outfit I wore this past month. It features my favorite Lush Tunics. These are SO good! I own multiples! They recently moved some over to The Rack but they keep selling out; it's worth checking out though since they've been restocking. 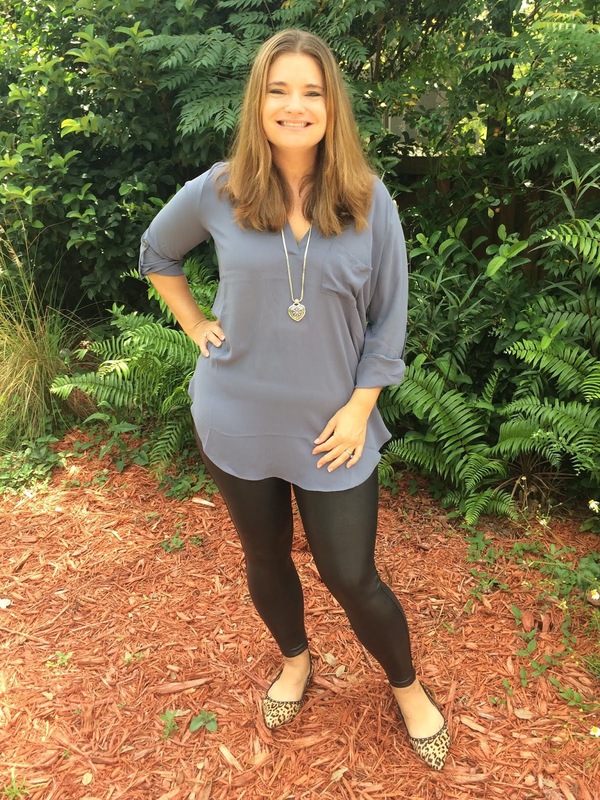 My faux leather leggings are Spanx but Target has a budget friendly version as well. My leopard print flats sold out but there's a BP version that have been popular and are pretty close.